Soccer Technology touches everything and football is no different to the effects of technological advancements. Not only has the football equipment been enhanced due to better technology but even clothing has improved to provide footballers with an exciting and fulfilling experience, both on and off the field. Soccer is a contact sports and the right gear is essential to protect the players from grave injuries in addition to boosting their performance. One example of how technology has affected the game is the doing away with jerseys and shorts made of cotton because this material tends to become heavy as it absorbs sweat and then the players can no longer play their best, they get fatigued easily and probably just want to lie down on the grassy field waiting for a substitute player to replace them. No team would want their star player to feel this way! What Are the Preferred Materials for Soccer Apparel? Since cotton has its shortcomings, designers and soccer jersey manufacturers started experimenting with new, advanced materials and slowly man-made materials starting taking center stage. The main problem with cotton is that it gets heavy with sweat and then causes irritation and chafing of the skin which leads to restriction of movement. jerseys and wholesale soccer shorts are designed and created today using polyester or polyester blends that are breathable, effective in wicking off moisture and provides cool and comfort to the player. Polyester being lighter than cotton does not add to the bulk and players can freely run across the field dribbling, tackling and shooting their way to glory past the goal post. Wholesale soccer jackets are also designed with hi-tech fabrics that keep the players warm before and after the match and helps to regulate the body temperature. These jackets come with or without hoodies and in zipper or pullover styles. If your professional or entry level team is preparing for a tournament and you want them to look their best and feel awesome, then get in touch with reputed manufacturers. Want to dress your players in team colors? 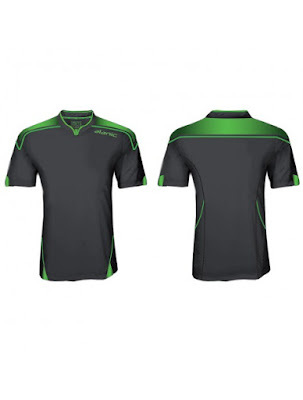 Avail custom options and if you wish your imagination to run wild with design ideas, then opt for dye-sublimation printing. Remember that confidence not only comes from having the skills but from looking great as well.